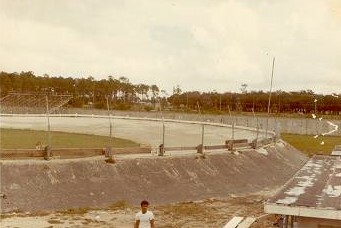 Work wraps up on the track in preparation for its grand re-opening in 1970. The blue pick-up belonged to George Sweeting. 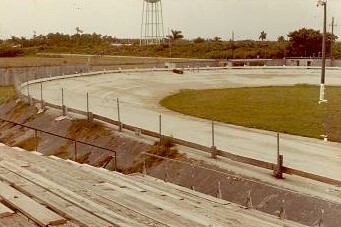 The view toward turn 1. Can anyone guess where the photographer stood to take this? Hint: it was not the concession stand. Check out that dip at the start-finish line! 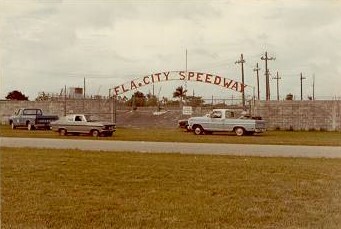 This is turn 2 with the famous Florida City water tower in the distance. 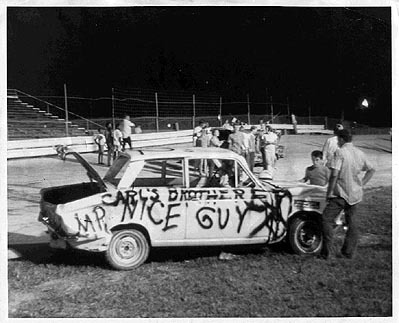 Cleanup is almost complete after the end of a demolition derby at Florida City. The stands have emptied as this was the last event for the evening. 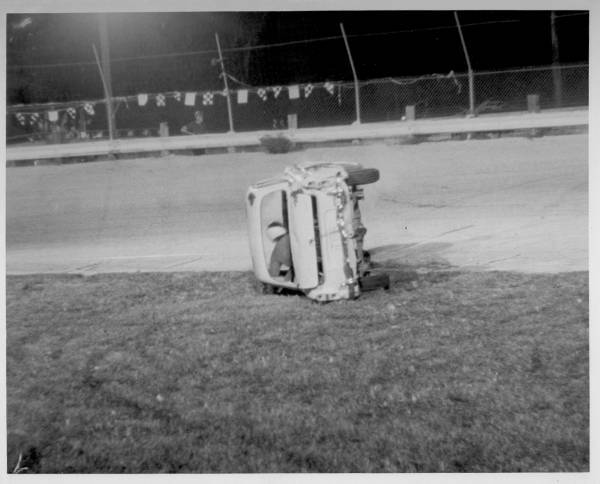 Ed Bowling, the mini-stock hot shoe, was the driver of this car. 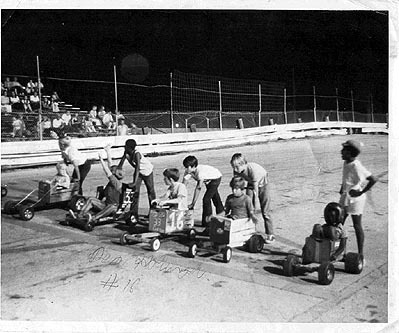 The kids took over during intermission for a one lap race in their "man-powered modifieds". A fresh "engine" was waiting on the back-straight, and took over after a perilous, full-speed engine change. Your humble correspondent drove #16 tonight, and if memory serves correctly, the engine was Donnie Allison's son. He is one of the principles of 600 Racing, original manufacturer of the Legend Cars. We finished 4'th! 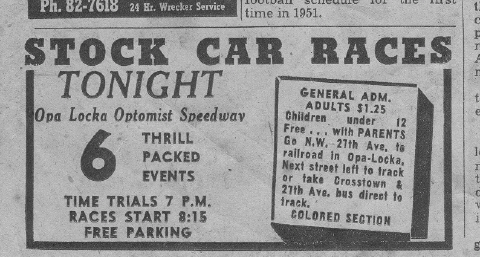 From time to time, the track ran a Powder Puff Race. 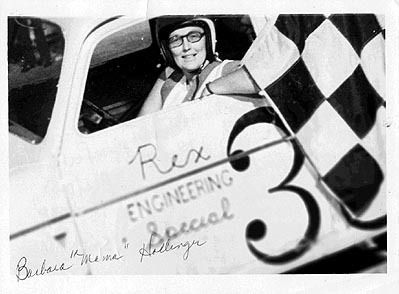 Here is a photo of Barbara Hollinger (my mom) after a victory. She was pretty fearless for a mother of 5. At the time this picture was taken, she had taken up motorcycle riding as a hobby. An Opel pace car? Times must have been tough! 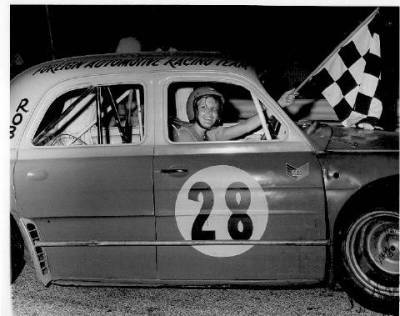 Bitsy Dahlberg wins a "Powder Puff" race in Rob Bean's Renault. 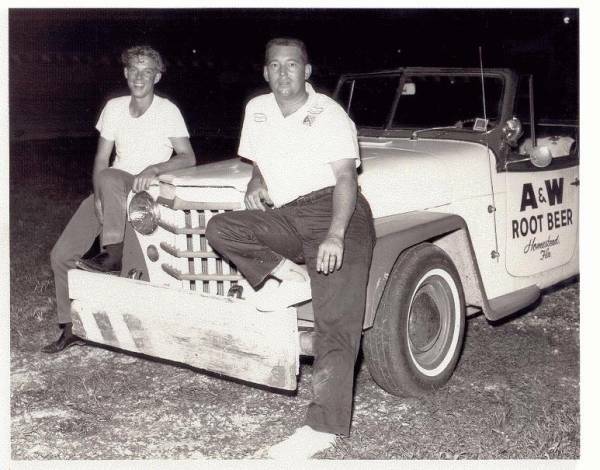 Note what it says on the roof: Foreign Auto Race Team.  That makes an interesting acronym! 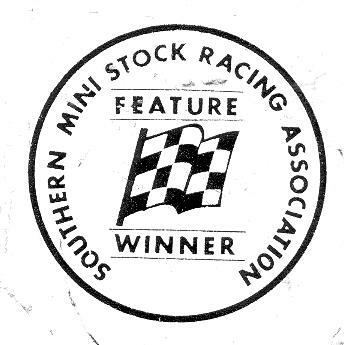 The United Mini-stock Conference was a traveling group organized by Dana Barlow. 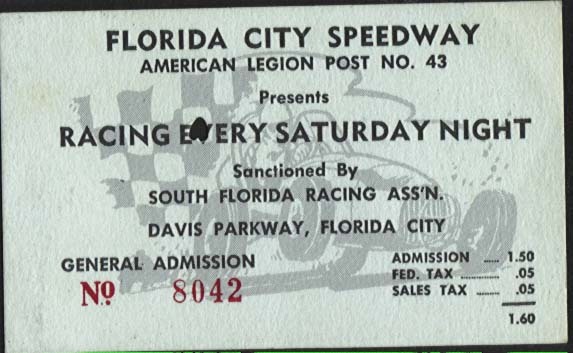 They ran at Naples, Hialeah, Fort Pierce, Suncoast Speedway in Fort Meyers and many other tracks. 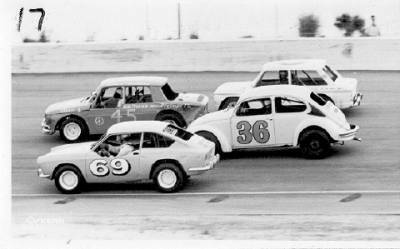 At some places, race fans had never seen anything like mini-stocks before. 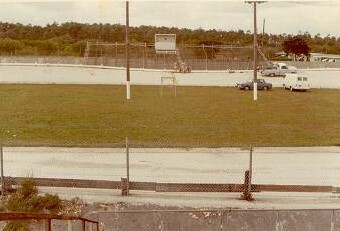 Here is a shot of tight traffic at the Hollywood Speedway. The last time you saw David Hollinger, he was driving his 1172 CC Anglia in the stock class. 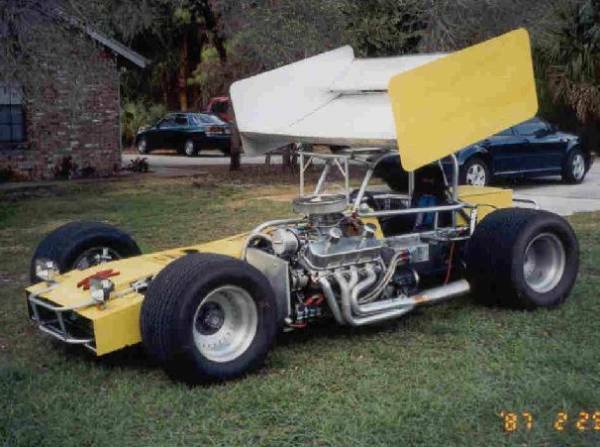 Well, here is his latest creation: a STREET LEGAL Super Modified. 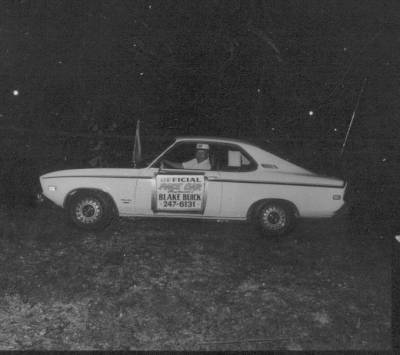 This car raced for years at the Oswego Speedway in New York. David bought it and prepared it for the street with a new 496 CI Chevy, a racing power-glide and a radically offset quick-change. Yes, it is as fast as it looks! Only a real gear-head could come up with something like this! 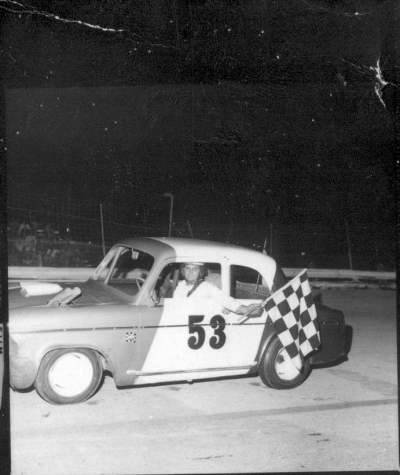 Orville Krienke was a racefan and local business man. 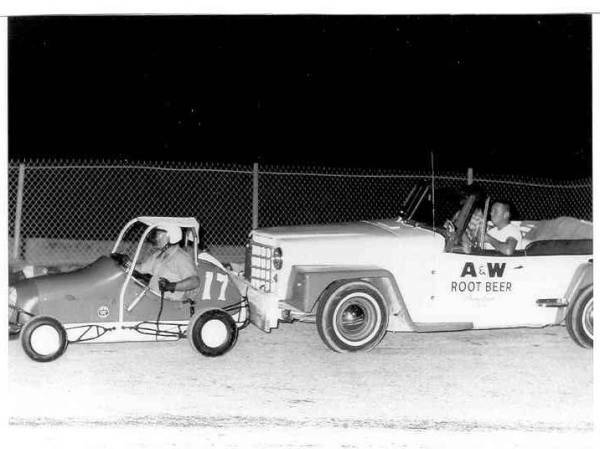 He owned the A+W Rootbeer stand in Homestead and built this creation to help advertise the business. This is a Jeep body mounted on the running gear from a giant 1957 Chrysler. The next time you mount a Jeep body on a Chrysler, remember to remove 18 inches of the Chrysler frame, and to add 10 inches to the Jeep hood! 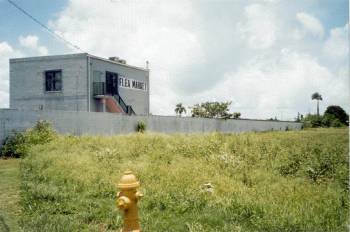 Orville's car still exists in Homestead. I enjoyed meeting him at he reunion and hearing about his project; another Florida City original! Demo night and someone trashed a perfectly good Anglia! Someone had the good fortune of driving Carl Hilton's potent car during some sort of special event. Was this a "celebrity race" or a police race? Anyone know? 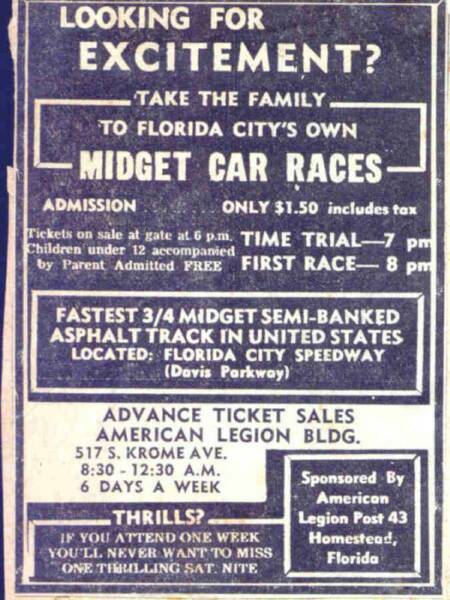 Check out this add from the Opa Locka Speedway 35 miles up the road. This concrete block wall is all that remains of the old track. It ran parallel to the back straight. 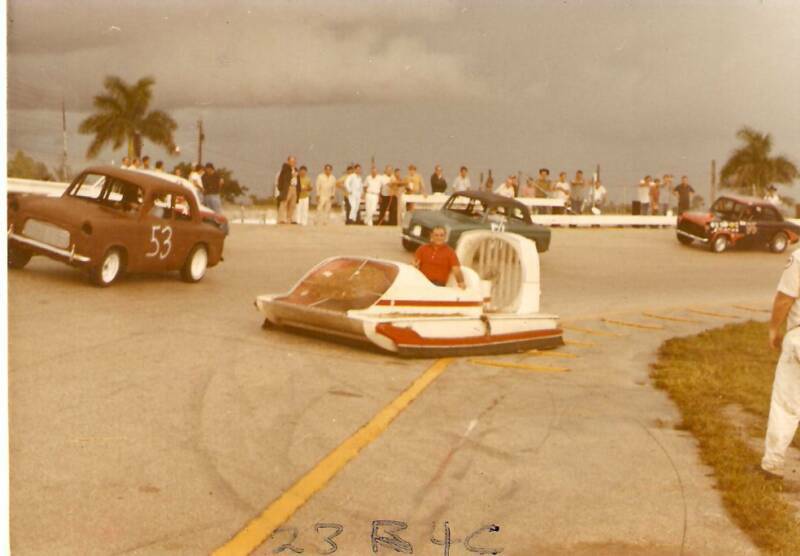 Here was an innovative experiment in track drying! I understand it worked pretty well, but the hovercraft skid down the banking in the corners.